Join a fun and laid-back wine tour in a small group. Enjoy the service of a personal driver and visit 3 authentic Istrian wineries. At each winery, you will get three wines with finger food. Dive into the exciting Istrian wine culture and try also the popular local grapes called Malvazija and Teran. If you want to taste more you can upgrade your tasting at each winery. Lift your glasses and Živjeli! Don’t worry, we teach you how to pronounce that. *Pick-up and drop-off times can vary up to 15 minutes. Choose your pick-up point from the list or let us know where to pick you up during the booking process. Min. 2 and max. 8 persons per tour. Ivica Matošević is one of the Godfathers of the Croatian Wine Scene. He’s a Cosmopolitan Wine Promoter. In 2017, together with another Croatian Godfather called Vlado Krauthaker, he presented 1200 bottles of Croatian wines at the Epicurean Star Award in Singapore. He thinks it’s boring to grow Chardonnay and Merlot like everybody else in the world. 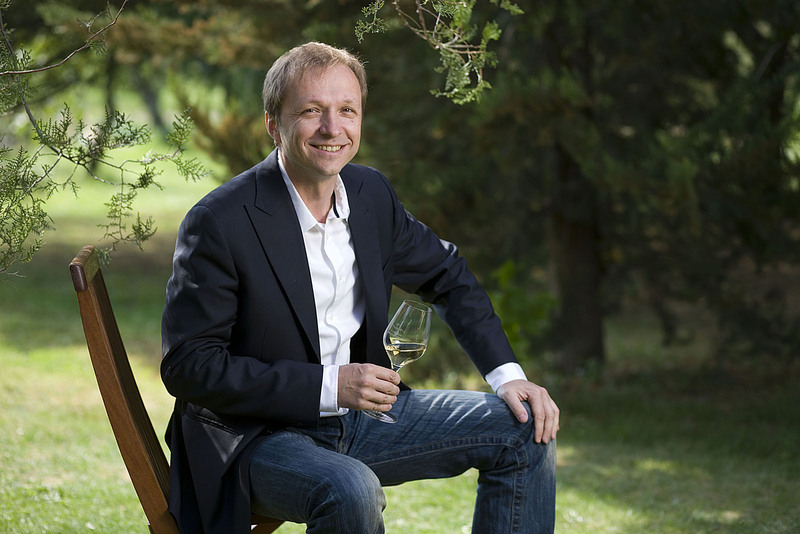 In his opinion, Istria has the potential to grow world-class wines and his wines are the proof. Besides, he produced the First Istrian Port Wine called the “Iron Witch” dedicated to his Marathon-running wife. When you google “Relais” it is hard to get a proper description of what this word really means. One explanation that seems more reasonable than others would be “a station where horses are changed during a long journey”. Istria is full of idle stone house estates that must have been looked amazing in their golden times and which received all sorts of travellers with the most different travel motifs and of all background. The Debeljuh Family renovated such a Relais into a modern and very elegant one. And what a coincidence! They actually produce great wine. Seems like a winning combination. Come and see for yourself! “Štancija” is the Istrian version of a Spanish “Hacienda” and “Collis” is derived from the Italian word “La Collina” which means “hill”. Stancija Collis was built on the most panoramic hill around Rovinj area. A constant slight breeze is felt on the terrace and the sea is just a stone’s throw away. The estate is surrounded by beautiful and healthy animals that are taken care of by the family Mastilović: Istrian and Dalmatian donkeys, Istrian cows, goats, dogs, cats, etc. Juraj, one of the youngest winemakers in Istria, believes in the organic winemaking style. No artificial additives, organic farming, and honest Istrian wines “just like my grandfather did them”, Juraj likes to say. Prepare for a different, stronger taste. Is there something else we should know?